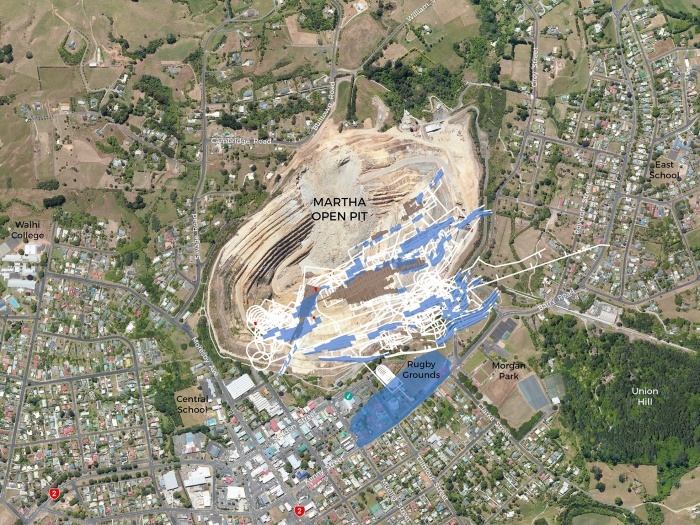 It’s no secret a resource consent application for a new underground mining operation in Waihi called Project Martha is due to be publicly notified any day now. 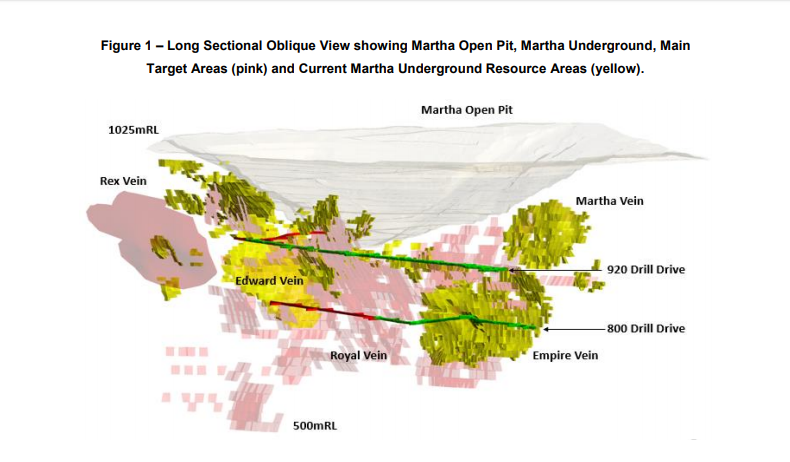 Mick Wilkes, President and CEO of OceanaGold said, “We are excited about the future and remain optimistic with respect to the ultimate size of the Martha resource,” when the company announced an updated Mineral Resource estimate for the Martha Project (the “Project”) yesterday. “The results to date have been much better than we expected and therefore the exploration target that is being tested through drilling has been revised and expanded,” he said. 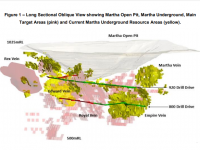 The exploration target has been reworked as exploration has progressed allowing OceanaGold to identify mineralised veins that sit outside the initial exploration target. 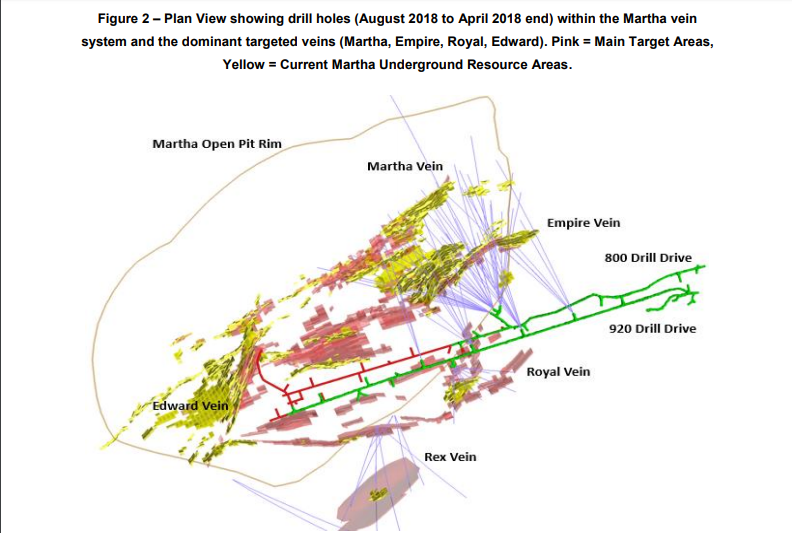 With the success of the drill program to date, the Company will increase the number of diamond drills from the current four up to six to accelerate the testing of the Martha, Empire, Royal and Edward veins and the numerous linking splays that make up the Martha vein system and revised exploration target. 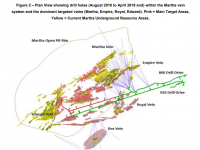 While the bulk of the exploration drilling is taking place at Martha, the Company will also continue to drill and explore the highly prospective WKP target some 10 km north of Waihi.